Sometimes, I catch myself feeling really envious of people who only recently discovered the joys of being active for, you know, the sake of being active. I honestly don’t remember a time when I wasn’t, and seeing people who are new to exercise begin to get hooked, well, it makes me feel a little like I missed out on a fun surprise, you know? That being said, my devotion has definitely waxed and waned a bit, so this question is still a really fun one to answer. 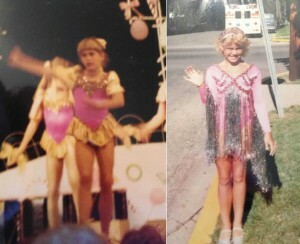 Yep, I was once a tiny dancer. Who towered over all the other tiny dancers by, like, a foot. I was old enough to dribble, and happily, my school system had a good youth girls’ basketball program in place. There were clinics in the summer for kids as young as second or third grade, I think, and in the fall, we played on Saturdays with the varsity girls’ team coaching us. And, of course, they seemed like rock stars to me. I got some of their autographs, and, naturally, wanted to be just like them. 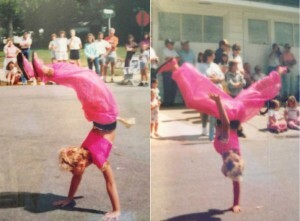 In addition to basketball (and softball and volleyball and the occasional game of tennis with my fellow “ankle biters,” I was an avid dancer and tumbler. I wanted to tap dance professionally. I wanted to be a Fly Girl (I still totally have those moves, much to my husband’s chagrin). If I’d lived in Florida at the time (and not been completely tone deaf) I seriously would’ve auditioned for the MMC. Second Time I Caught the Fitness Bug: The New Millennium. Going into high school, I remained active through the sports I played but had to give up dance in order to stay competitive. It was a real shock for me going into college, where I didn’t have practices and coaches and all kinds of things keeping me accountable. The fitness center intimidated me, and I couldn’t run for any extended period, so I mostly just didn’t do it. When I moved to Florida in 2000, though, one of my roommates was a former college football player, and he helped me learn my way around our local fitness center and pushed me to do longer, sustained cardio on the elliptical until I was better able to run in the Florida heat. At that point, I wasn’t eating particularly well (at all), but I was definitely getting the fitness part down. I didn’t actually spend all my time upside down, believe it or not. Third Time I Caught the Fitness Bug: Early Marriage Years. I became a pescatarian shortly after my husband and I got married, which meant I started learning a little more about nutrition. I began mixing up my workouts and working with my friend Fitz to learn kickboxing (and drop a few pounds between the wedding and the honeymoon) and really started feeling good in my skin. Shortly after, I signed up for my first triathlon. Fourth Time I Caught the Fitness Bug: Late 20s. A few things happened a while after my 25th birthday. For one thing, I was no longer able to drop a few pounds with the bat of an eye—it began to take a little more sustained effort, which, well, wasn’t particularly thrilling, but it forced me to focus a little more on my eating and exercise habits. Additionally, I began my writing career, which involved writing about fitness. I’m not one to talk the talk without walking the walk, so I began taking more interest in recent health studies and making sure I was living a lifestyle that could be reflected honestly in my writing. Fifth Time I Caught the Fitness Bug: Getting Additicted to Triathlon. In the last two or three years, I feel like I’ve really turned a page with my fitness. I’ve paid attention to what I really like (working hard and seeing tangible results), and I haven’t shied away from working with trainers or coaches when I can to get help. I’ve gotten over my fear (or ego, maybe) and am happy to run or ride or swim with people who are faster than me. I’ve totally become one of those people who will ask you about your new workout or healthy diet and really, really be interested in talking about it for, like, an hour. I’m not necessarily at my fittest (or thinnest, or fastest), but I feel really good about what I’m doing and what I’m eating, and I’m getting ever closer to finding that perfect balance. I JUST caught the finess bug for the first time. I was diagnosed with fibro in September ’12, and my doctor recommended water exercise. My mother and I signed up for “water aerobics for the injured or out of shape” at the Y and I haven’t stopped since. I’m now taking much more difficult water classes—with intervals!—and started with Pilates out of the water. I started to reduce pain, but now I do it because I love it. I’m very overweight, and lost no weight the first 6 months of working out, but did go down two clothing sizes. I’ve just started to lose some weight. I never imagined I would enjoy exercise or use it to relieve stress, but now I have to stop myself from doing too much (more than 2 hours a day). I have become one of those people, and it’s wonderful. I was never that active in school. This was at a time when if you were thin, what more did you need to do? (70’s!) I started exercising in my 30’s after my marriage ended, mainly to relieve stress. But, it wasn’t until I had a personal trainer that I felt the fittest. I haven’t stopped since. I am now a fitness instructor and absolutely love it! I can’t imagine not living a healthy lifestyle. As I get older, it becomes more of a priority. 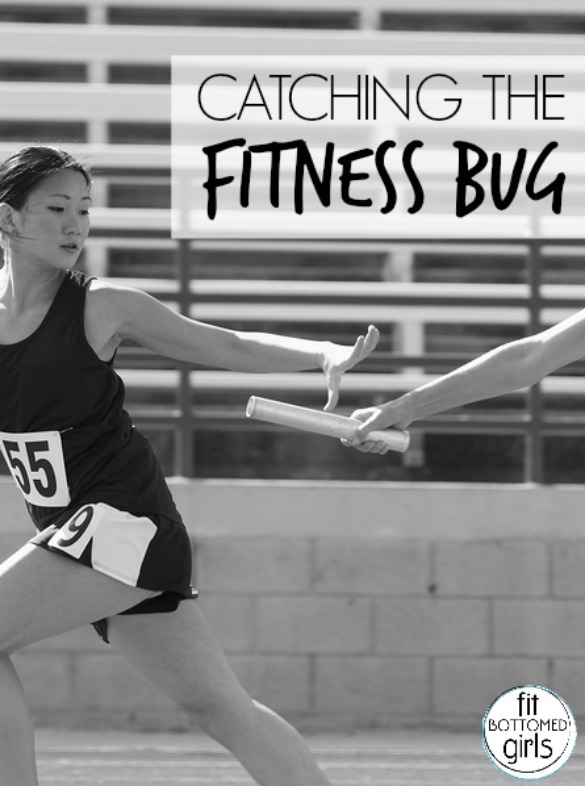 I caught the bug in high school during basketball training and it stayed with me throughout college. It’s now a routine part of my life.